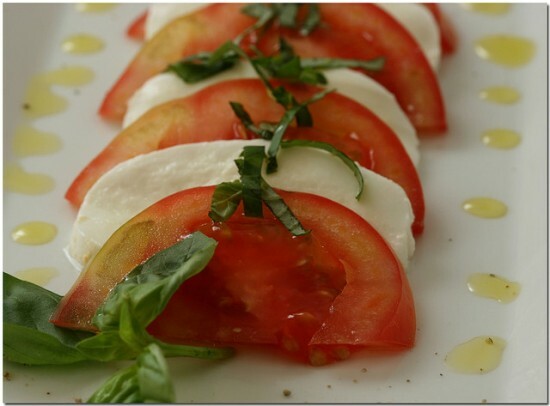 Mozzarella cheese: different ways to enjoy it! Southern Italy’s Campania region is famous around the world for its mozzarella cheese. Here are a few ways to enjoy this Italian specialty! Not all mozzarella is created alike, and visitors to Campania have the chance to experience mozzarella cheese at its finest. Exported all over the world, the mozzarella produced in Campania features prominently in local cuisine and regional specialties. The first thing to know about mozzarella in Campania is that it comes in two distinct varieties, each one appreciated and carefully made following traditional methods. 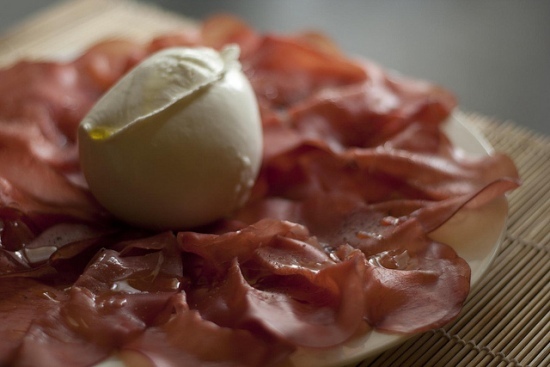 The most popular is the Mozzarella di Bufala Campana DOP, a soft cheese formed by hand and made with raw buffalo milk. No, not the big bison that used to roam the great plains in America, but water buffalo that find the climate in the plains around Paestum and Caserta in Campania a happy home. The other popular variety of mozzarella is made with cow’s milk and is called fior di latte to distinguish it from the Mozzarella di Bufala. Both are highly prized in the region and used in many traditional recipes of Campania. Traveling through Campania, you’ll see many different shapes of Mozzarella di Bufala Campana and fior di latte. A visit to a dairy farm to see mozzarella being made is a fun outing! After processing the milk, the cheese is worked by hand and kneaded until it is just the right consistency and texture. The cheese makers work in teams to knead the cheese and pull off one piece at a time, which is put into cool water where it soaks for several hours before being ready to eat. During this process large balls are made, or small bite sized balls called bocconcini, or braided into a treccia shape. Everyone has their preferences for favorite shapes and how to serve them, but this often varies in different areas and towns throughout the region. When you have the chance to try a fresh Mozzarella di Bufala or fior di latte in Campania, the most important thing is simply to enjoy it! When freshly made, you’ll often find it served in restaurants and at the family table as an antipasto, or appetizer, to enjoy with sliced prosciutto, bresaola or salami. 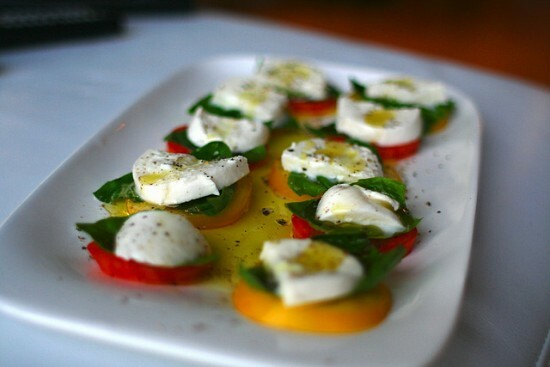 Remember that mozzarella is not stored in the refrigerator, unless you are going to using it for cooking. The proper way to store it is at room temperature in the liquid it is packaged in when you but it. There are so many ways to enjoy mozzarella in Campania! 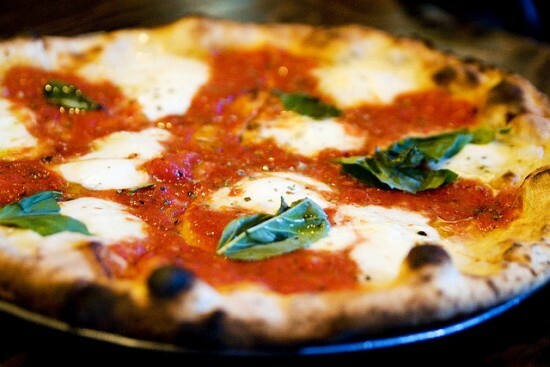 While many pizzas are topped with fior di latte, the classic Margherita pizza in Naples is topped with Mozzarella di Bufala. Don’t expect mounds of cheese on the Margherita, but the Mozzarella di Bufala adds a wonderful flavor that you must experience! 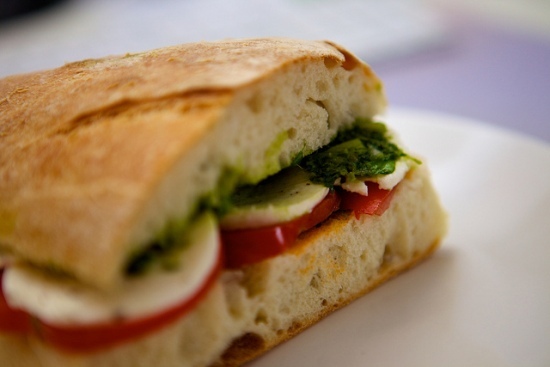 Another classic that is perfect for heading to the beach in Campania is a simple panino, or sandwich, made with mozzarella, tomatoes and basil. There are many other popular panini for the summer, but they tend to be simple, such as prosciutto and mozzarella, to allow the flavors of each ingredient to stand out. One of the most popular ways to enjoy mozzarella in Campania is the delicious Insalata Caprese that was created on the island of Capri. This salad is easy to make at home by simply slicing tomatoes and mozzarella cheese and topping it with freshly torn basil leaves, a drizzle of extra virgin olive oil and a sprinkle of salt and pepper. Should you use Mozzarella di Bufala or fior di latte? The answer varies depended on where you are in Campania. Along the Amalfi Coast, in Sorrento and on Capri, the preferred cheese is often fior di latte. However, in Naples and near Paestum and Caserta, where Mozzarella di Bufala is produced, you’ll often find Insalata Caprese served with the locally made buffalo milk mozzarella. Don’t miss the chance to try Campania’s famous fior di latte and Mozzarella di Bufala on your travels through this beautiful region in southern Italy! 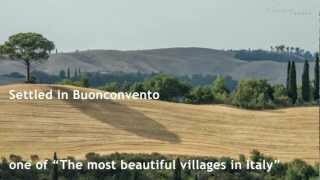 Have you ever been to Campania? 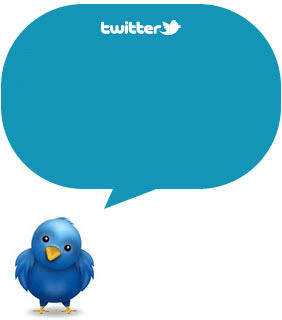 Share your experience with us and follow us on Twitter and Facebook! Subscribe to our RSS and stay tuned!